I just wanted to take a few minutes to thank all of you. I believe you all to be the best fans in Division II, both in terms of activity on these forums and D2Football.com, as well as in general knowledge of the Division and the game. Hands down. Jim Collins is stepping down as head coach of the Saginaw Valley State Cardinals after an 11-year stint at the helm. Collins will be making the jump to the Division I level and joining the staff at the U.S. Military Academy at West Point to serve as the Director of Recruiting. The 2018 season will go down as the most successful season of all-time for Ferris State football, but despite a heroic comeback effort from the Bulldogs on Saturday, the 2018 season will not include a National Championship trophy. Valdosta State claimed the NCAA Division II National Championship on Saturday (Dec. 15) with a thrilling 49-47 victory at McKinney ISD Stadium in McKinney, Texas. 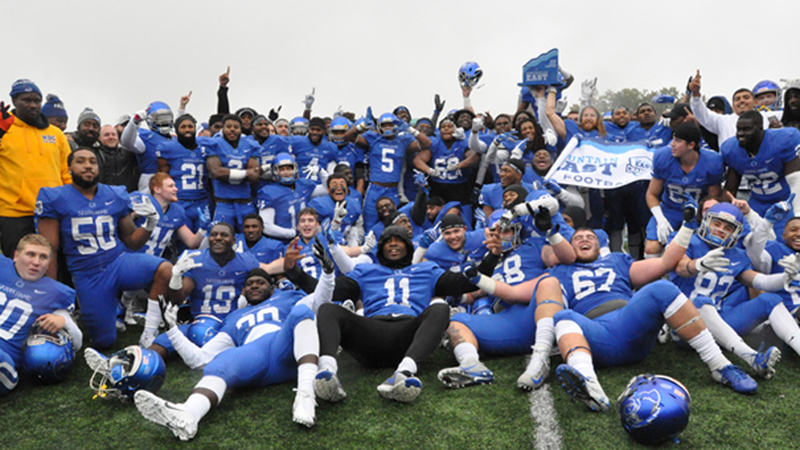 The win completed a perfect 14-0 season for the Blazers. On the verge of completing the winningest season in Division II football history, Ferris State faces arguably its toughest test yet. on Saturday (Dec. 15) at the McKinney ISD Stadium, in McKinney, Texas, the 15-0 Ferris State Bulldogs will take on the 14-0 Valdosta State Blazers in the 2018 NCAA Division II National Championship Game.